Everyone is anxious that Yi Chen is regretting his marriage. Xiao Xiao asks Mo Sheng if Yi Mei knows about their marriage, but Mo Sheng doesn’t know. Xiao Xiao is concerned because Yi Chen hasn’t discussed with Mo Sheng about preparations for the wedding banquet and there’s even no ring! She’s worried what Yi Chen’s intentions are by being so secretive about this. 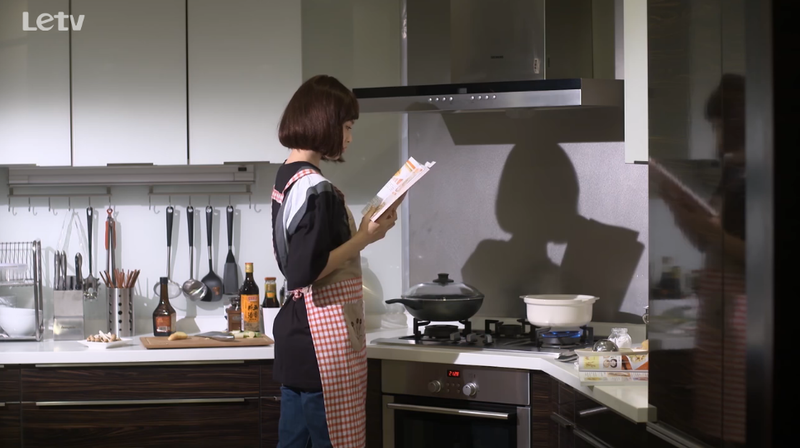 Yi Chen comes home to find Mo Sheng busy in the kitchen. He is clearly enjoying this view as he leans back and soaks it all in. She turns around to see Yi Chen standing there. He asks what she is doing and she tells him she is making soup. She then asks him if she can use his computer to look up a recipe. Man, this must be some fancy soup to need this many books and a laptop to boot! Mo Sheng’s presence is everywhere! In his walk in closet, Yi Chen finds a section of her colorful clothes. Just as he is admiring this, he hears her screaming. Apparently she spilled the soup onto his laptop. Instead of being angry, he rushes her over to the living room to apply medicine. Since the laptop is fried, Yi Chen enlists Mo Sheng in helping him with translating an important document. She hits a hard part, but just as she is about to ask Yi Chen for help, he gets a call and starts to spiel out English like it ain’t nobody’s business, so she feels determined to work things out herself. And like so, they spend the evening working and Mo Sheng even falls asleep on his shoulder. The next morning, Mo Sheng wakes up to find Yi Chen have already in the living room setting out breakfast. Soon after, a series of cuteness occurs. First, she can’t find her slippers and he points it out to her. Then, before she could ask, he tells her that he bought the breakfast. Mo Sheng apologizes for falling asleep the night before, but just as she is about to ask, he replies that he changed her clothes for her. LOL. While sorting through letters Mo Sheng finds an invitation to a community BBQ for the building next door. She asks Yi Chen about it and he tells her he bought an apartment for Yi Mei’s parents nearby and they will come on Monday to take a look. And so Monday arrives! Yi Chen and Yi Mei show her parents the new apartment. Afterwards they go out to eat and the parents tell him they didn’t raise him so they can reap benefits or anything like that. Yi Mei’s dad tells Yi Chen to just rest up and not work so hard to buy all these extra things. Yi Chen replies that he just wants to make sure everyone lives well, and he will gift the new place to Yi Mei as a future wedding present. Just as they are eating, Mo Sheng calls up Yi Chen. While he’s on the phone, Yi Mei’s mom tells Yi Mei to hurry up or else Yi Chen will be taken by others (TOO LATE). Yi Mei tells her that they are now just brother and sister, and nothing more. Good job, Yi Mei! On the phone, Mo Sheng asks Yi Chen for his opinion on two restaurants she reserved for the meal with Yi Mei’s folks. He says they are already eating and this totally breaks her heart. A despondent Mo Sheng waits for Yi Chen at home. She pretends everything is okay but it’s obviously not. Before they head to separate rooms, she works up the courage to ask Yi Chen if he regrets marrying her. After all, he didn’t let her see his family and he didn’t tell anyone about their marriage. We get no answer to Mo Sheng’s question and it is already the next day. Yi Chen and his partners win a big case and right afterwards the employees ask for bonuses or at least a work dinner or celebration or something. Instead of going out to eat, Lawyer Yuan suggests that they go to Yi Chen’s for hotpot. Everyone is scared of Yi Chen’s response, and he surprises they all with an okay. Xiang Heng inquires as to what caused the change, but Yi Chen says he will find out in an hour. Xiao Xiao laments everyone is in love which makes her want to date too. The first person to enter her brain is Yuan Feng! yuan feng is not a bad choice! Yi Mei leaves Yuan Feng’s gift lying around and her coworkers see it and says it must be real. Ying Hui finds out Mo Sheng has been married for ten days. 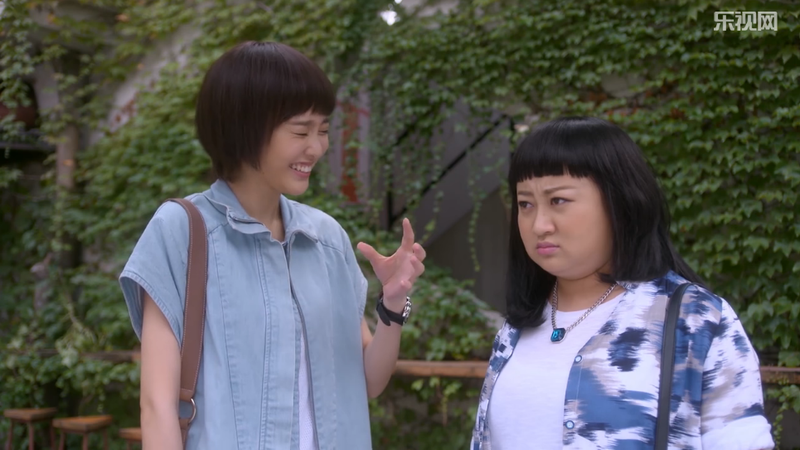 Xiao Hong convinces Mo Sheng to get a haircut with her. They both end up with bad haircuts! If you ask me her supposedly bad cut is better than what she had.